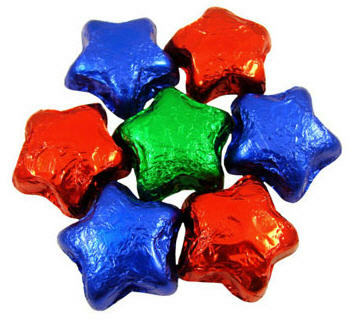 Awesome looking foiled Chocolate Stars. Hand-made with 100% Milk Belgian Chocolate. They make a brightful chocolate favor! Assortment of red, green and blue foil.